Remember as children how we use to sing our friends out to play? We would stand at their door, sing their name instead of calling or emailing to see if they could come out and play. Do you remember singing in the car on long trips (songs like I’ve Been Workin’ On the Railroad) ? When we got tired of singing we would play the “ABC” game as we traveled along instead of being plugged into our own music headsets, or watching a video. Susan Grace started singing as many of us did; singing her friends out to play, with her family, at school, around campfires on the beach, and with Girl Scouts. She started playing around the Detroit area at local coffeehouses in the early 70’s performing folk and traditional music on guitar and banjo. Performing in Michigan and the mid west she has had great opportunities to open for wonderful artists and share programs with such artists as; Josh White Jr., Claudia Schmidt, Sally Rogers, Joel Mabus, Pop Wagner, Mary McCaslin and Jim Ringer, Robin and Linda Williams. Performing with guitar, banjo and fiddle Susan presented a program entitled “Michigan through Story and Songs”. This program took an educational and entertaining look at Michigan’s History. She also performed with Jan Pavlinak (of the Ruffwater String Band) as “Old Fashioned Fancy”, danced and taught dance with the “Great Lakes Clogging Company”. In 1985 after moving to Alaska Susan began to write more of her own songs inspired by the wilderness that surrounds her. Making Fairbanks home she has dedicated her time working and volunteering for many environmental and educational non profits, as well as making music! Susan performed mostly on her own but also played for several years with the band “Outlaw Women”. Susan Grace is also an educator. She has been working with children, youth, and adults for over 30 years organizing workshops and teaching. Sharing her love and wonder of nature through working at camps, teaching Environmental Education, working as a Natural History Interpreter, developing Camp Habitat in Fairbanks, developing a nature based Preschool, and performing for schools and youth across the country. 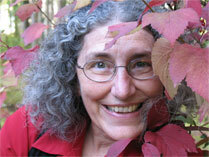 Susan’s passion for nature education and music are a delightful blend. She has also toured nationally with several environmental organizations celebrating; wild lands protection, wilderness issues - along with local issues wherever the tour was traveling, and the Arctic National Wildlife Refuge. Continuing on her own Susan toured throughout the lower 48 performing at a variety of venues, from large halls at universities, interesting nature centers, schools, to small intimate house concerts. Her message is strong; it comes from her heart, and from being rooted in the interior of Alaska where she calls “home”. For the past several years Susan has not been able to tour due to health issues. She continues to volunteer locally, write new songs, and perform in the Fairbanks area. However, with this release of her new recording “Come Into the Light” she is doing just that! Celebrating coming through the darkness and coming back into her life returning to her music!